Zhone, one China of one Chinese.矢子家庭集。 : days in brewing waiting. a new&heavier snow since dusk.^got up to urinate, then slept again till near 10am. fetched bland dvds from office then visit baby's mom, emakingir's house, where i busy sorted stuff from web, installed new games for baby&tried with him, fix reportedly infected desktop by restored backup. full time engaged with activities on computer till early night. backup 3 dvds, left badly needed free space on my mean hard disk for further operation routinely. merely i can claim its rewarding. ema cooked fried beef as lunch for me, but dinner is too shabby: instant needle upon baby's asking. baby several times reported heat&avoid my caress. he later played pc game with his mom's visiting nephew, a Liu, but soon gave up for rest. routed by bus. ema's visiting students reported snowing in late afternoon. when i left it drifting thick. dined with noodleπes. Masheng, thx u for the white gift. i hope i can sooner hold ur arms side by side. in dorm enjoy music≤isure. slept earlier in these days, after 11pm. a featureless day.^woke up by urgency of urning at 8:42am. continued to sleep till noon. washed socks&inner clothes. left dorm around 1:30pm. bought oranges on way to office. Masheng let me know its all bright. the evil in office unplugged power wire, to shown me the adversity. in office prepared&posted recent photos. the search web trying fix java apps can't access Internet on my moto. reinstalled many times, tried some tools to allow Internet access, but none save it. in night restored its os from backup, yet failed. it started to unable to connect the web after i demonstrate baby's mom, emakingir, in KFC franchise yesterday. likely since then the China telcom blocked my JAVA apps' Internet traffic, which likely a bit different from regular wap traffic, which all time working when surf with moto's native wap browser, but refute java apps like opera mini, google map, etc. sorted stuff, esp. ebook&games. when i passing the restaurant i haunt a lot, 2 men stood in open space, God let me evade the route. so i picked another restaurant which near my dorm, but the Chinese management style upset me, so i chose a restaurant even near my dorm, whose feature food is dumpling but adopts western style, like standard cooking, open kitchen, background music, bright indoor lightening. but its price a bit dealer: i ate a bowl of Taiwan feature rice, a dish of meat dumplings cost me ￥22. but i quite satisfied by its service. in dorm, listening music while rest. later continued trying fix my moto. baby's mom, emakingir, allowed me to visit next morning. baby said got heat last mid night. and we had to visit hospital to buy my medicines, for the woman previously sold me pills privately no longer available among emakingir's mobile contact. its all time a bright day. surfed&slept later than 12am. a new snow.^last night in dorm i can hear the wolfing of wind. this morning the sound of cleaning snow on ground woke me up. i lingered on bed after 8:30am, till my cellphone remind me of getting up for several times. in office clean my box.net shared files. tried to delete spam posts in baby's mom, emakingir's twitter, but proxy tool again failed me. posting daily tweet cost me longer time for amplify didn't autopost my tweet. sorted stuff from web&catalog graphic asset&backup to portable. its snowed last night, in morning the sky is pale, but turns sunny near noon. Holy message lets me doubt. enjoyed music online at noon. the facing evil stared at me while sit a lower sofa since work time of the afternoon, might felt that can daunt me. retreated to dorm near 2pm. fine tuned bookmark in opera mini on cellphone, then dozed in blanket till near 4pm. God lets me meet my baby by switching another way from a grey man's entrance. baby with his mom&grandma. the later soon left, baby's mom, emakingir, let me carry baby son to dine in KFC nearby, as she promised baby. there baby played pc games on my notebook, join the baby zone in the western style restaurant. i also shot some photos of baby eating&playing. ema suggested i bought medicines privately from a hospital worker, like we did last time. in this way we can buy more medicines than in regular clinch visit, and more expedient. baby's mom also bought me a hanburg. i demosstrated her the powerful os on her moto. she attracted&even invited me hacking her Nokia, but i refuted for too exhausted these days with moto. sent baby&his mom left, i visited office, where i tried to prepare more pc games for baby for my next visit. dined with noodleπes. bought food on way, in singing of Masheng. in dorm blogged after tried new game&vector cliparts. the wind outside reminds me a cold night. visit related album: Spring festival of lunar new year of 2010 ending. the street lanterns removing by municipal workers. i these days ran into my baby son who now join his kindergarten routinely several times. yesterday God again let me occasionally met my baby son with his mom, emakingir. they arranged to dine in KFC nearby. so we had a good time. my dreamed 3rd wife, my girl zhou, still evading me. i these days spent most of time in office online to kill time. God, Masheng, u know the distance between us&our marriage ahead. let us closer and forged into one new family! here again a bright morning, after last night wolfing wind. baby son, warrenzh, 朱楚甲(http://facebook.com/zhuchujia ), dining with his mom, emakingir(http://profiles.yahoo.com/emakingir ) in KFC. 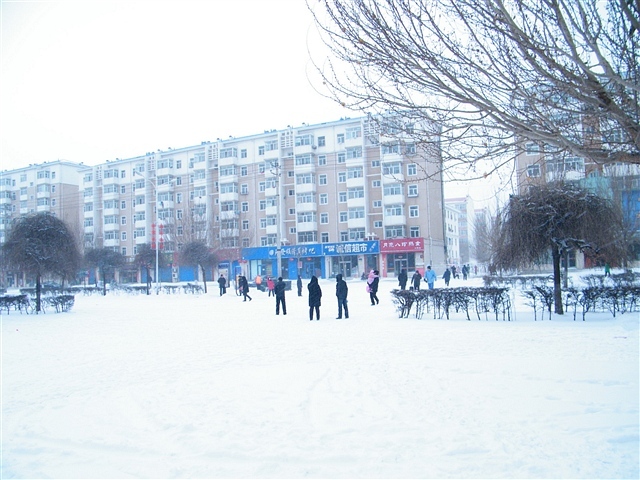 the street outside of QRRS' dorms. 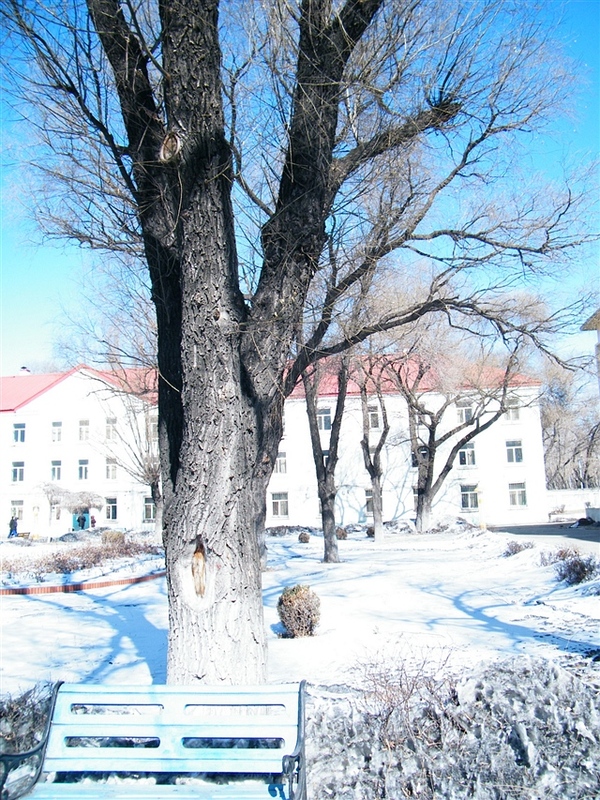 QRRS' Dorms, where benzrad (http://profiles.google.com/dabbog )lingered these months for his new marriage with his girl zhou, in sunshine after snow.